While some individuals might think that cosmetic labels only need to allow a shopper to distinguish between whether a product is eye shadow or lip balm, they are sorely mistaken. 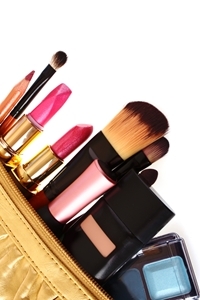 Cosmetics that are distributed in the U.S., for example, must adhere to labeling standards created by The Food and Drug Administration (FDA) in its Federal Food, Drug, and Cosmetic Act (FD&C Act). Any mislabeled or inaccurate cosmetic labels could bring heavy fines to a manufacturer or distributor. As these businesses also want to create designs that can catch a customer's attention, it is important to find labels that can offer both, without compromising one over the other. Why should I print my own cosmetic labels? By opting to print in-house cosmetic labels, your business can save money and time. For example, investing in a VIPColor VP485 color label printer from DuraFast Label Company, your company can design beautiful labels at high speeds. A VIPColor color label printer can create crisp, 2400 x 1200 dpi color labels with photo quality images. Additionally, should any labeling requirements change, you would not have to wait for a third party to send you back new product. This saves time and keeps your customers happy. Why use DuraFast cosmetic labels? Investing in a color label printer from DuraFast Label company will ensure that your business will not only never fall behind on orders, but have the tools to create beautiful, eye-catching cosmetic labels. With a VIPColor VP485 color label printer you can design custom labels that still adhere to FDA and other state or local standards. Contact one of our label experts today, so you can find the right software and color label printer for all of your cosmetic labeling needs.